Virgin Trains USA won state approval for a bond issue to finance an extension of its South Florida passenger train service to Orlando. The rail service, formerly known as Brightline, will be able to issue as much as $950 million private activity bonds approved Friday by the Florida Development Finance Corp.
Virgin Trains expects to launch service to Orlando in 2023. Approval of the bond issue will allow Virgin Trains to borrow at a relatively low interest rate, and if the company defaults, buyers of the bonds would be affected, not taxpayers. The privately owned company, which shelved its plan for an initial public offering of stock, is operating at a loss with a lower-than-projected number of passengers. 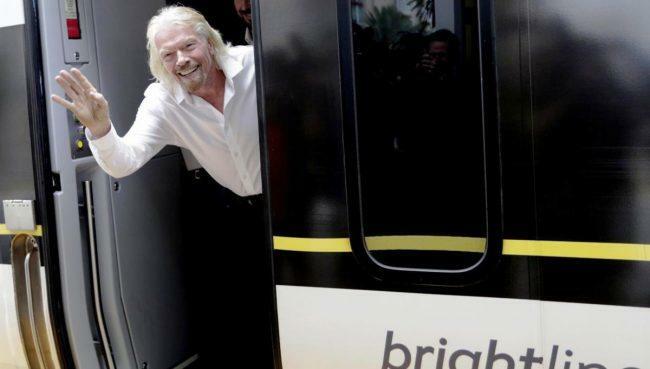 The company formerly known as Brightline officially rebranded itself on Thursday as Virgin Trains at an event featuring an appearance by Sir Richard Branson, the founder of Virgin Group. Virgin Trains plans to open a station at Orlando International Airport and is discussing the possibility of opening a train station at the Walt Disney World Resort in Orlando.